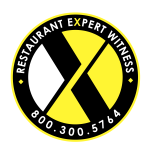 With over 30 years of experience in the restaurant and bar industry, Restaurant Expert Witness – Howard Cannon understands that giving a deposition expert witness testimony can be one of the most crucial parts of your case. In some ways, maybe even more important than his testimony at trial. He knows that during the deposition, the non-retaining attorney is given great latitude to question him about broad and varying issues (“cross-examination”); and, that depositions may be lengthy — lasting for many hours, even though testifying at trial will most likely be much more limited. Understands the question before answering. Listens to the entire question before beginning to formulate his response. Looks at records referred to in their entirety before responding to a question. Does not give opinions outside of his area of expertise. Does not take either counsel’s word for anything. Is careful of hypothetical questions and generalizations. Is not intimidated by literature or supposed statements of renowned experts. Listens to the retaining attorney’s objections. Is wary of opposing counsel summarizing his testimony. Takes as many breaks as needed. Does not lose his cool. Is aware of his right to reserve to read and sign his transcript. Corrects or adds to an answer he gave earlier should the need arise. As an experienced expert witness, Howard Cannon knows how to prepare for trial. Know his deposition and/or report (if he has prepared one). Know the documents provided to him to review. Speak to the Jury in a professional manner. Answer only the question which is presented to him in clear, concise language that is easy to understand. Provide answers pertaining only to his area of expertise.